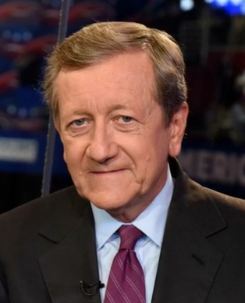 One of the prominent faces of ABC news has been Brian Ross, one of their star investigative correspondents. He has been forced to resign because he embarrassed the network late last year when he did an on-air report suggesting former National Security Adviser Michael Flynn had been told by President Donald Trump to make contact with Russian officials during the 2016 campaign for president. Ross and Rhonda Schwartz, who was the chief investigative producer for Ross’ team, has had to step down when that report proved to be false. FAKE NEWS has been building because there have been no checks and balance. I have had my encounters over the years that will make your head spin. I was flying to Australia to give a public conference there and a journalist, who was obviously a socialist and President Reagan-hater calling it “trickle-down” economics, ran a full-page story on me and said I was the author of just about everything and Reagan did everything I instructed so I was an evil capitalist and nobody should go listen to me. When I landed, the staff informed me about the article. I called the journalist who never bothered to interview me that I was only called in for that dog & pony show to launch G5 and that I disagreed with that policy. As for “trickle-down” supply-side economics, I told him that was Arthur Laffer – not me. Of course, there was never a retraction. I went to a cocktail party and someone called me a liar. His interpretation of that article was that I had worked in the White House as the Chief Economic Advisor. When I denied that, I was a liar because I was “embarrassed” to admit I worked for Reagan. That was just one of many encounters I had with FAKE NEWS. Journalists have for decades interjected their personal philosophies into the news and see it as justified to try to persuade people to their point of view. The fact it has come to the surface because Trump has taken on the press is a good thing. British newspapers, who didn’t like the fact that I had been a friend of Margaret Thatcher, accused me of manipulating silver and then a couple days later Warren Buffet came out and said he had bought $1 billion. Again, no retraction was ever printed. I was simply attacked by Labour journalists because it fits their mindset of a greedy capitalist. Why let fact or truth stand in the way of a good story and Brian Ross simply revealed his true color – was it pink?